Due to popular demand, here are more construction photos showing the work being done at the Jackson turnaround and the facility expansion at Ruby Junction. And while it’s great and all to see the work for the Orange Line coming along, I can’t help but wish the same focus was put on maintaining the existing alignment. Remember that big to-do this past March? 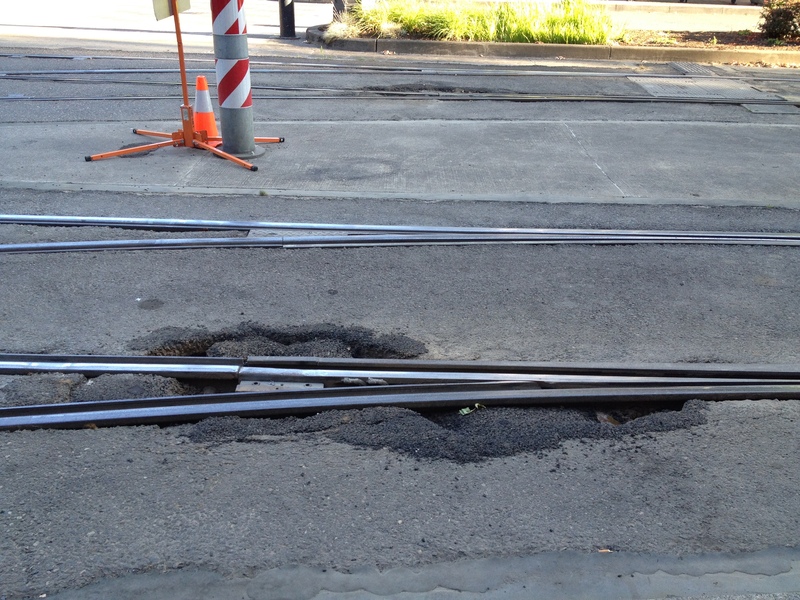 Long story short, frontline workers had been trying to address long-standing safety issues at TriMet, including damage to the alignment that had gone unrepaired for months (example – the switches just west of the Lloyd Center platform, pictured here in July of 2012 and again in January 2013 with no repairs made). Nothing was being done internally, so the union brought it to the media, which then led to ODOT announcing an inspection. 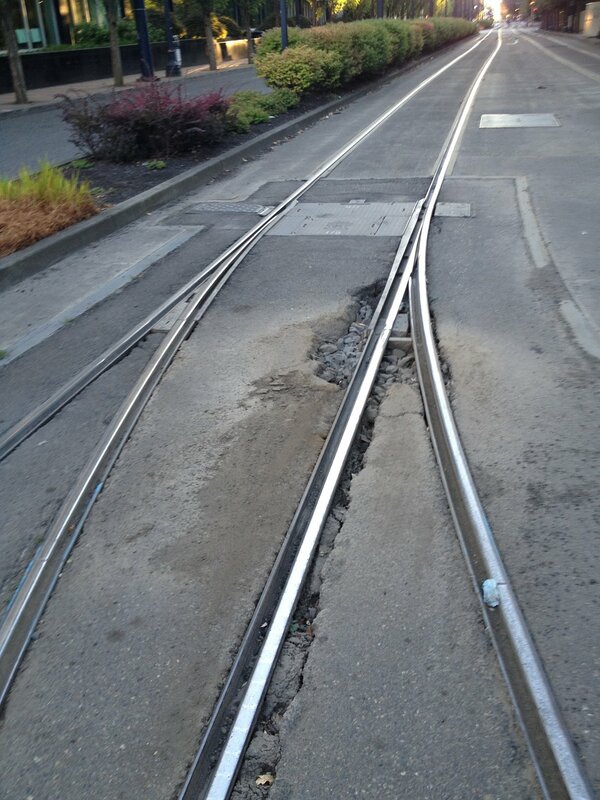 Cue a flurry of activity at TriMet which largely consisted of throwing asphalt on everything to patch the alignment up before the inspection (here are the same switches in mid-March 2013). 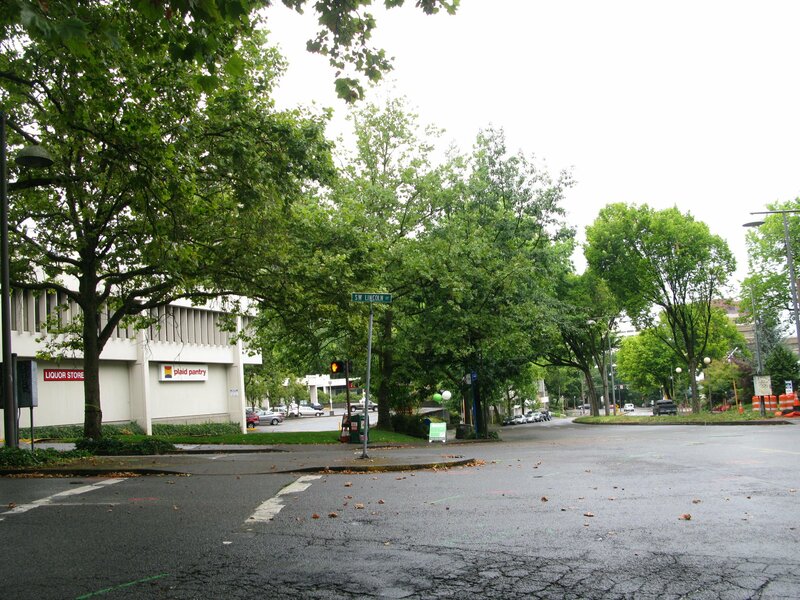 As a result, the ODOT report didn’t find any major safety concerns. 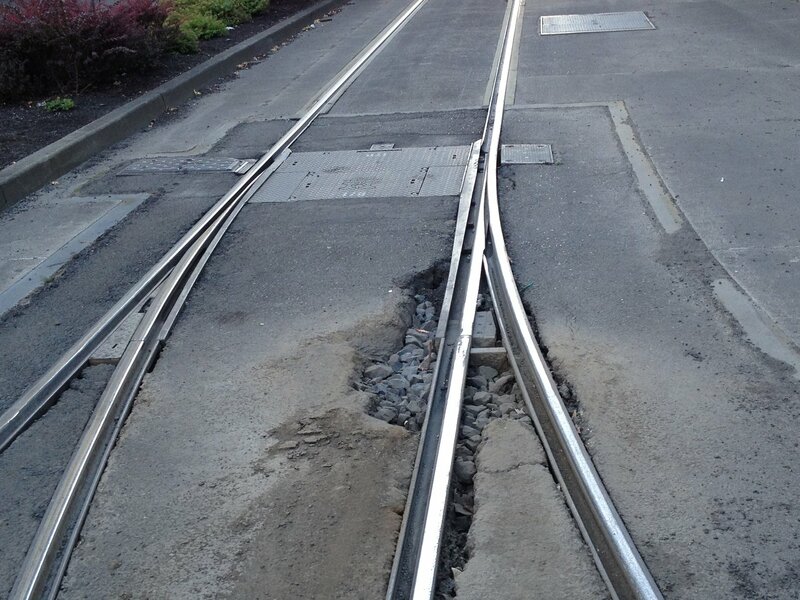 TriMet claimed this as a victory and accused the union of making up safety issues to draw attention away from the negotiations. Though really, it’s a dubious victory if you have to do a bunch of last minute work right before an inspection to fix problems that had been around for months – doesn’t that just mean the union was right? 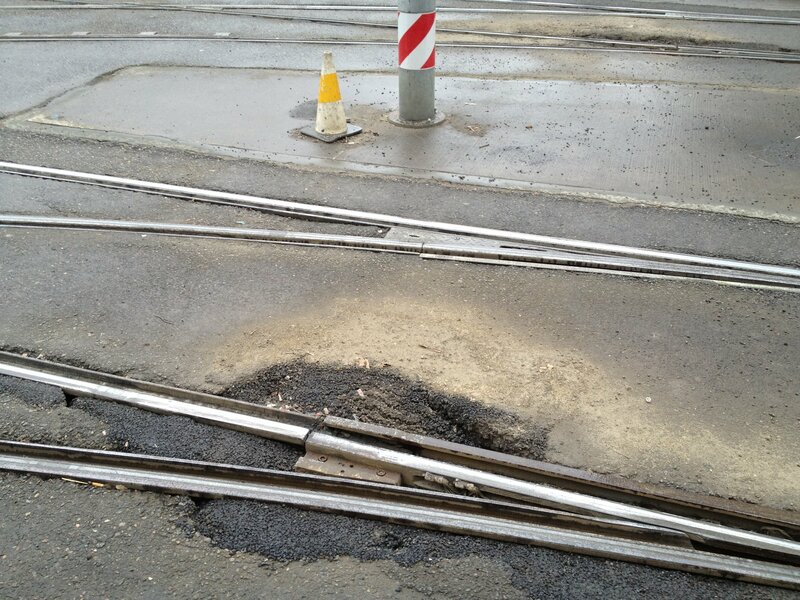 But, see, asphalt doesn’t last forever, especially if the underlying problems weren’t actually fixed (as a MOW commenter said, that kind of damage could be due to broken rail near the heel block of the switch, or waterlogged rotted ties underneath, neither of which are fixed by a fresh coat of asphalt). Check this audio from June 2013 about the same switches west of Lloyd Center, and here’s how that area looks as of this month. In other words, no, it hasn’t been fixed yet. Remember those yellow cones denote a slow order – that is, a reduction in speed through this area because going full speed through damaged track would be dangerous. 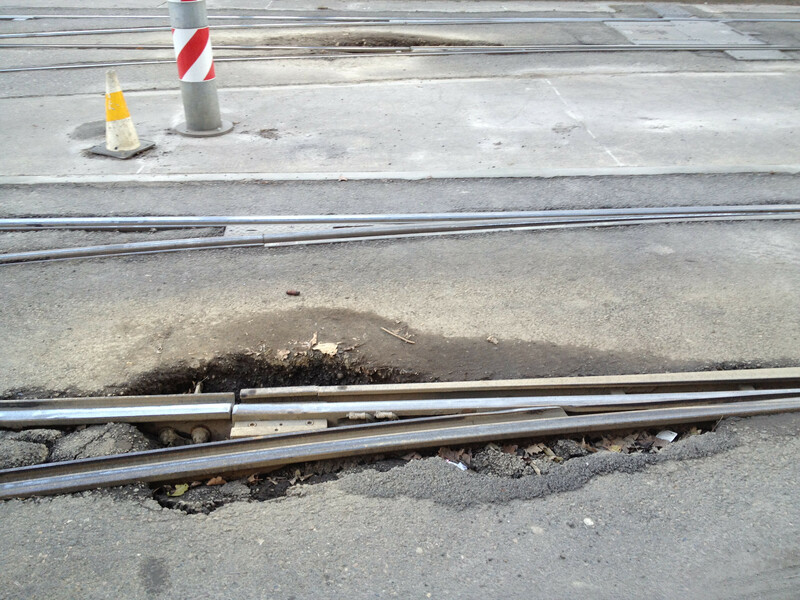 So, as I said earlier, while it’s nice that the work for the Orange Line is coming along, I don’t think that’s really a valid reason to neglect maintenance on the existing alignment in the meantime. You know, safety being a value and all. More or less in the same location. 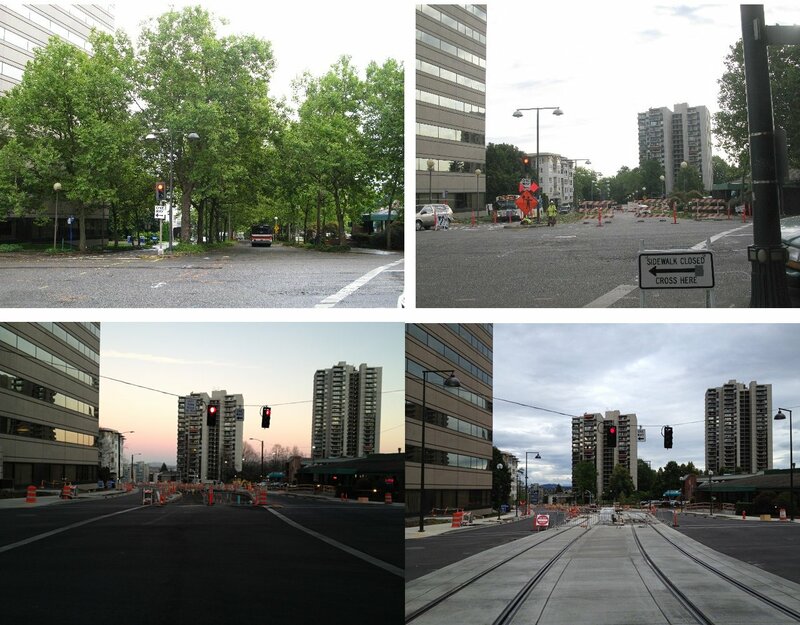 As I’d said back in September 2011 when construction for the Orange Line was about to begin on Lincoln Street, I wanted to get progress pics because it just hadn’t really occurred to me with other MAX extensions. But that hasn’t happened with any real regularity or with pictures taken in the same locations to show progress (such as the above picture, which I think is the only location I’ve gotten 4 times). So without much organization beyond when the photos were taken, here’s everything. All pictures can be clicked on for a larger size. 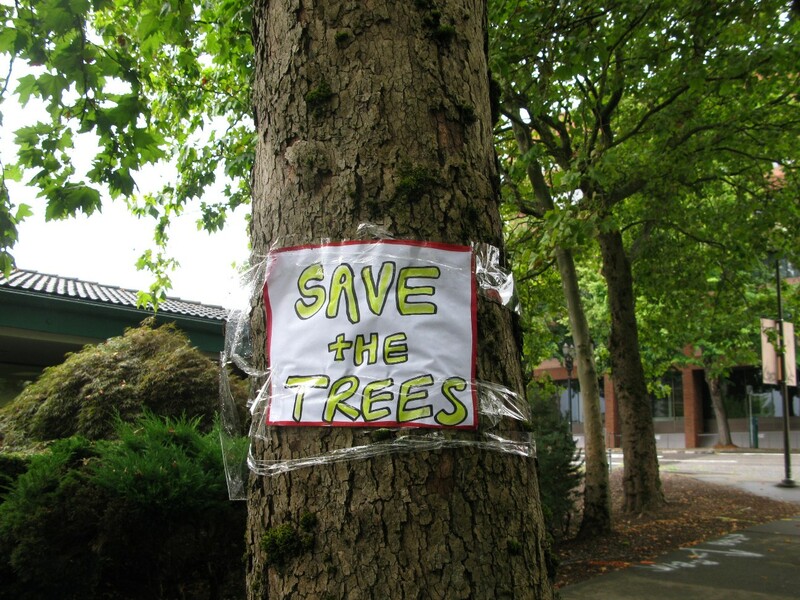 I’m not going to repost all of the oldest pictures from 2011 here since I’ve already gotten them in previous posts, but September 2011 showed Lincoln before construction began, when people in nearby apartments protested the clearcutting of all the trees in this block. 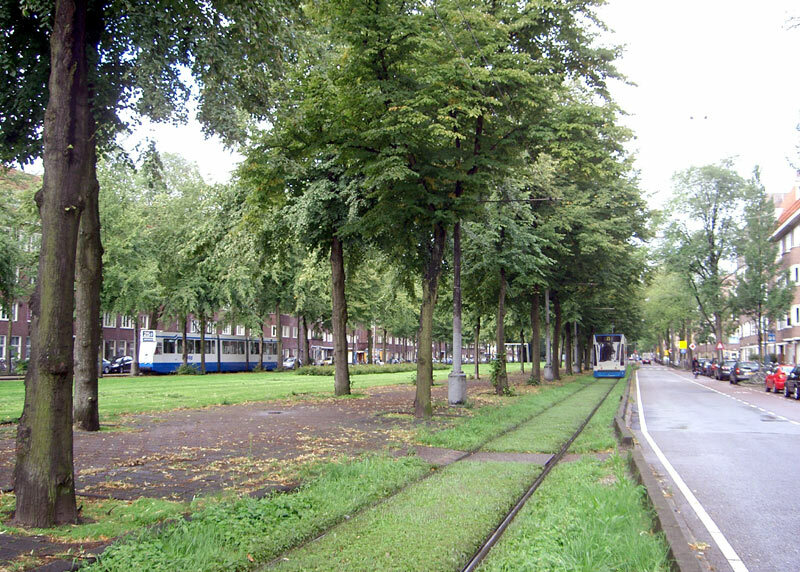 By early October 2011, all the trees in the median were cut down, as were most of the trees lining the street (eventually they would all be cut). Several months after the previous set, now all the stumps are gone and the median is being removed. 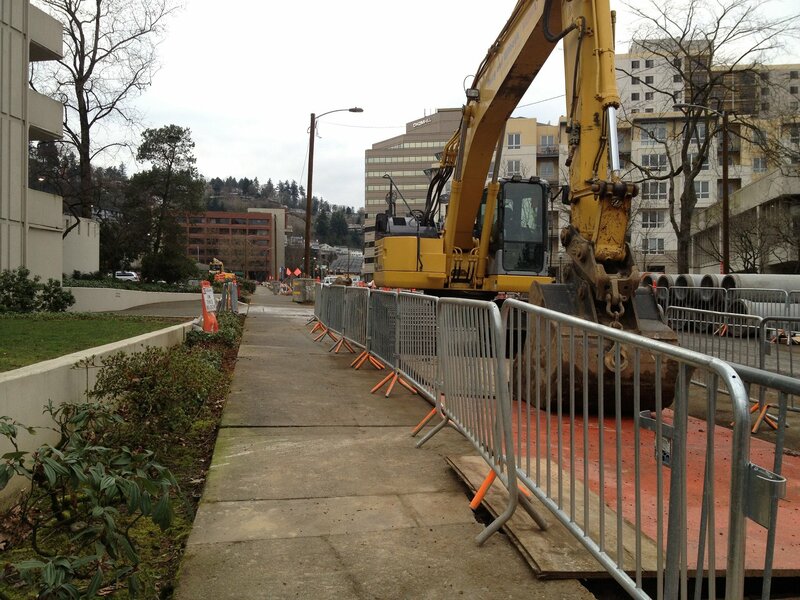 Headed out there briefly, but saw limited pedestrian access and a lot of workers doing things, so I didn’t stick around. It took me several months to get back over there again. 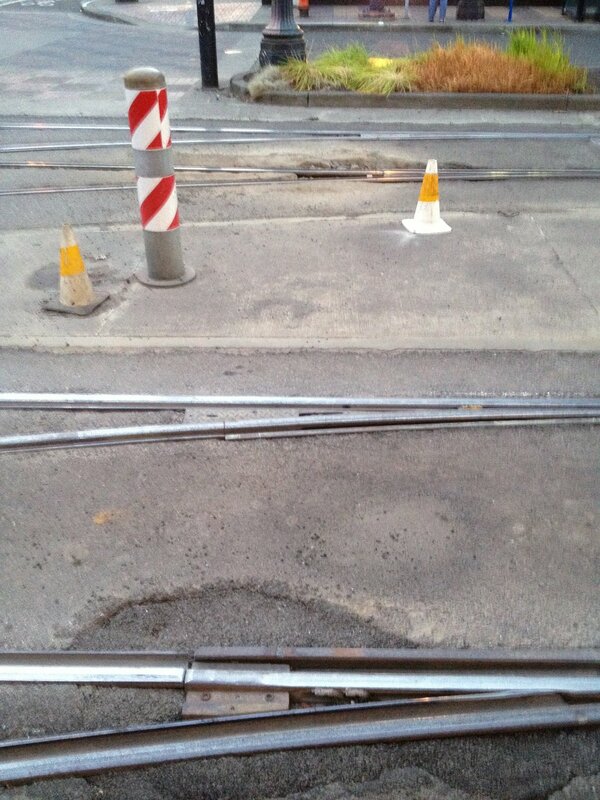 I think the first rails started going in around November 2012. I also don’t know when these buildings at the eastern end of the street were demolished, I didn’t see any of that happening. Not sure what specifically those businesses had been, where they relocated, or if they just closed up without moving elsewhere. By January those buildings were demolished, the land cleared out, and rail was already laid down through here for the harbor structure. 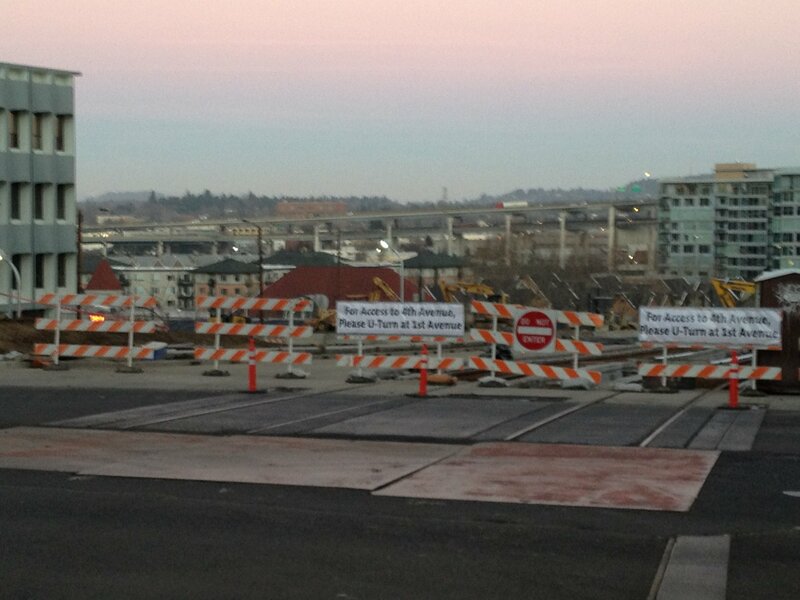 Nothing yet shown about the vegetated track (linked picture is European I think, not TriMet)… that part is going to be limited to the platform area. I’m curious and somewhat pessimistic how that’s going to play out. Vegetation on rails makes for an extremely poor stopping surface since leaves are as bad as ice when it comes to traction, so with the vegetation for runoff between the rails plus TriMet saying they intend to replace the London Plane trees that had grown here, it sounds like there’s going to be a lot of leaf buildup in this area. I DID like seeing t-rail being used on Lincoln (see picture gallery below, the cross-section of the rails are T-shaped), embedded similar to the alignment on Interstate. 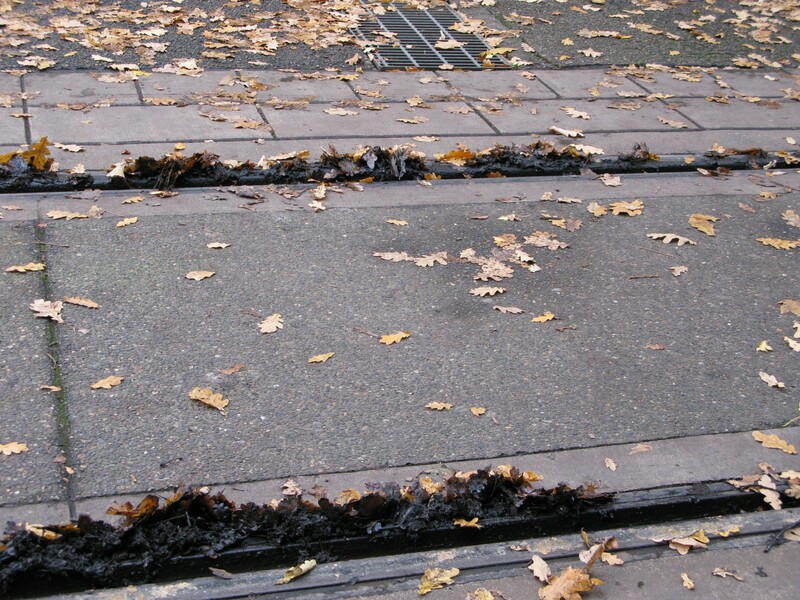 Although leaf buildup on t-rail is still slippery, it’s better than girder rail where the debris can fill in the channel in the rails which can be extremely dangerous – not only is that slippery but that can cause a derailment or a loss of shunt where the leaves insulate the rail and the train won’t be detected in that circuit. Okay, this isn’t technically from Lincoln Street, but this picture was taken underneath the Harbor Structure that connects from Lincoln. 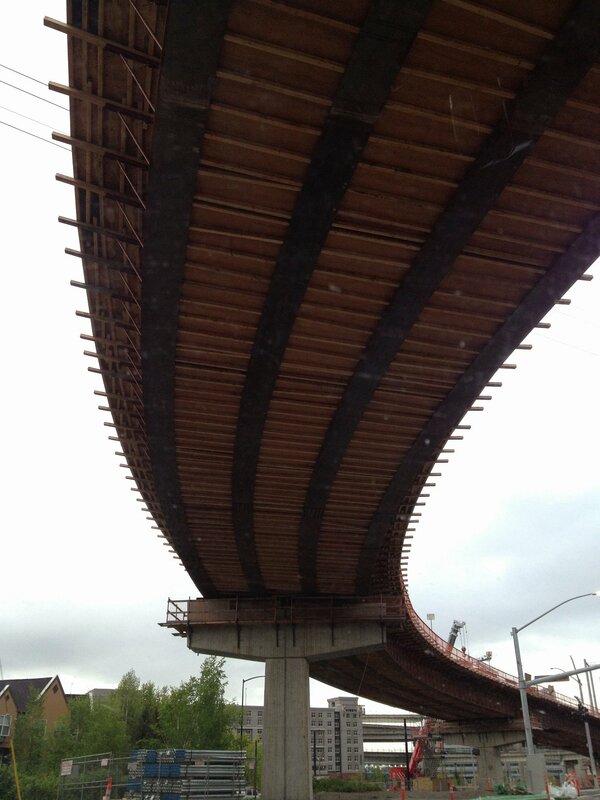 And the pictures from June, which show more of the rail installed than there had been in January. I know a lot of people have asked how the Orange Line will connect with existing lines. 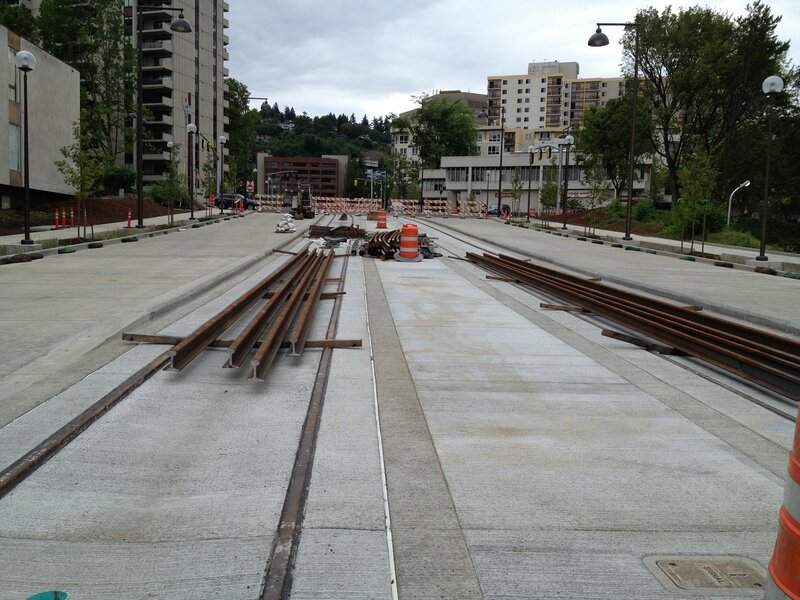 The new alignment starts at the southern end of the transit mall at the Jackson turnaround, currently used by the connected Yellow and Green lines – for those not familiar, Yellow Line trains become Green at PSU, and vice versa. The current word (though not yet set in stone) is that Green will then run by itself and Yellow and Orange will be run together. 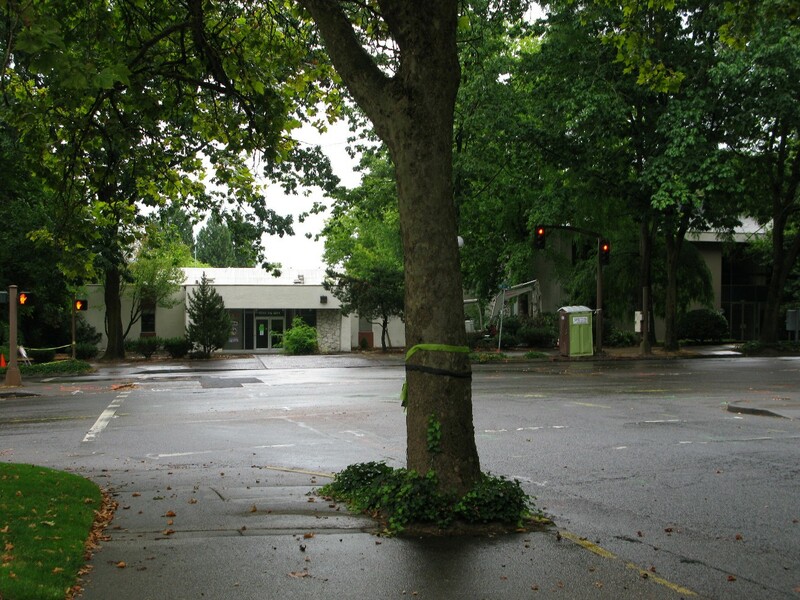 There are also talks of changing the Blue and Red lines, with Blue running west from Cleveland Ave in Gresham only as far as Beaverton TC (though with rush hour service to Hatfield Gov Center in Hillsboro), and running the Red Line from the airport to Hatfield, a change that might happen sooner than the scheduled 2015 opening of the Orange Line.